Are you looking for a plumber marketing company to help grow your business to the next level? Then you have come to the right place. Here at Empowered Owl, that happens to be our specialty. With many years of experience, we have been helping businesses just like yours get new customers. Want to know how we do it? In this article, I'm going to walk you through our strategy. You can take this strategy and run with it since it works well, or you can give us a call and have us help you implement it. Either way I'm happy, since it helps you out. Click on a button below if you are ready to start. Let's dive into the details next. 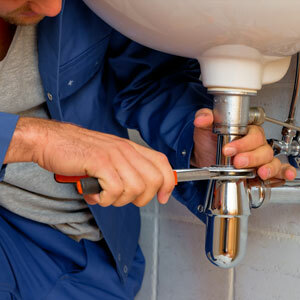 Plumbing is an age old profession that is always in high demand. The whole point of marketing is to get more customers. With that in mind, let's break down the whole marketing thing into parts that we can fix to get things flowing just right. If you are not getting enough customers right now, then chances are that you have a clog somewhere in your customer pipeline. When we look at it this way, it's much easier to troubleshoot the problem and see where the clog is so that we can clear it. We can start at the end and work our way back. The first question is are you properly servicing the customers that you are getting appointments with? If yes, then we can move back one step. If not, then it's time to look at the service side of your business. Do you have the right people, training, and structure to manage your business properly? We can help diagnose these types of problems for you if you need help. When your service fulfillment looks great, it's time to look at appointments. Appointments are composed of the logistics of settings appointments and making sure that the appropriate people, tools, and parts show up on time. This is a critical part of the business, because there's no point in getting more leads if the business can't handle the ones that it's already getting. If you business is struggling with making and keeping appointments, then it's time to do a deep dive into figuring out what is wrong. Typically, the most common problem here is the business is not leveraging software to handle the logistics of appointments and also the job of dispatch, which is plotting out the sequence of customer visitors in the most efficient manner. There happens to be some great options here in terms of customer relationship management (CRM) software that will take care of the appointment setting, dispatch, and payment logistics for you and your crew. If you are not already using a CRM, then it's time that you start. The software will more than pay for itself after the first week of using it. Assuming that the service side of your business and your appointments are functioning well, then we get to take another step back and look at prospecting. Prospecting is simply the practice of being able to get leads for your business. There are many methods here that work well. One of the most immediate ways of getting leads is buying them from providers. However, there is risk here that the lead quality is not good, or that leads can't be received in a predictable manner. That leads us to the next method. A great alternative to getting leads immediately is pay per click ads. The most popular option here is using Google Adwords. The catch? Typically, the cost per click, or how much they charge you for someone searching for a plumber on Google that clicks on your ad to go to your website, might be expensive in your local area. It all depends on the competition. There are also more traditional forms of advertising like direct mail, paper ads, TV ads, and radio ads. These forms are often much more expensive because they have been around forever, and are the first thing that businesses try. You can get a much better bang for your buck by using digital ads online. An alternative to pay per click, is using search engine optimization (SEO). Plumber SEO is one of the most cost effective ways of getting leads. The problem is that it's a long term strategy that can take anywhere from 6 to 12 months before it starts giving you a fantastic return on investment. Check out our local SEO guide for more details. So what's the right answer for improving your plumbing marketing? It's usually a mix of these different methods that will provide you with the best results. For example, once you determine the number of leads that you should be getting in order to drive the business results that you want, then it's time to figure out the right mix of prospecting methods to deliver those leads. What most business owners don't realize is that there are many steps from turning someone running a Google search into a paying customer. First off, they have to see your paid ad or you have to be ranking on page 1. Then they need to click on the ad or the link to your website. Once they visit your website, they then have to give you a call or fill out a contact form. Then, you get them on the phone and determine if you can fix their problem for the desired price, and schedule an appointment. Then someone has to show up on time and fix the problem in order to get payment. With this long process, there is drop out at each step of the way. The higher the drop out means the more leads that you need to feed your pipeline. If you have any problems along the way, that's when your business gets into trouble. The goal is to streamline the whole pipeline so that every step is working great. In parallel to that, you should also be increasing the intake of leads. When you combine both of these together, you can multiply your business and grow it substantially. To get leads moving, you should try buying leads to see if they are high quality. At the same time, you can also start using Adwords for paid ads. In parallel, you should start doing the legwork of SEO so that you have organic leads coming in around 6 months from now. Your needs and budget will determine what all you can do here and what the proper mix should be. We are here to help. After reviewing countless pipelines like these for small businesses and figuring out what was wrong, we have the expertise to get your pipeline unclogged and flowing like new again. On top of that, with fresh flowing pipes, we can help pump more leads into your pipeline to get your business growing. All you have to do is give us a call or schedule an appointment to start the process, and we'll do the rest. Click on a button below and start the process of growing your business now.